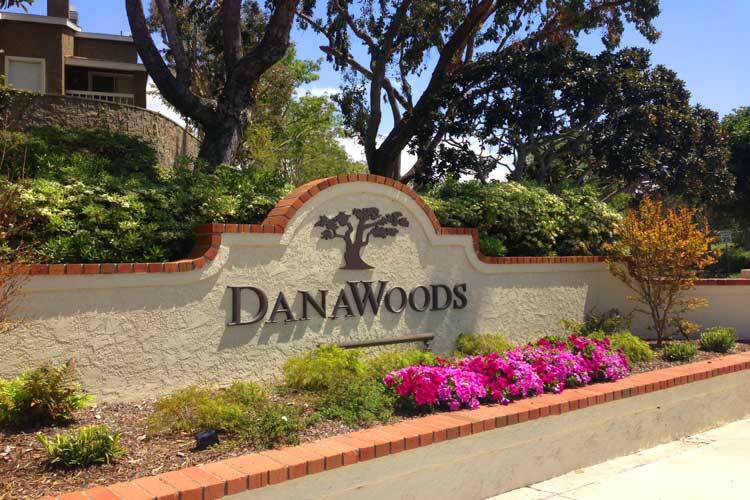 Dana Woods community in Dana Point is located on the boarder of Laguna Niguel near the intersection of Camino Del Avion and Golden Lantern. Homes in this community are located on small cul-de-sac streets which creates an intimate feel for the community and it's neighbors. This is considered a very family friendly area with lots of kids in the neighborhood. By far, this is one of the best places to buy if you are looking for a safe and friendly community to raise your children. All the current available Dana Woods homes for sale and for lease are listed below. Please contact us with questions regarding any of these properties. 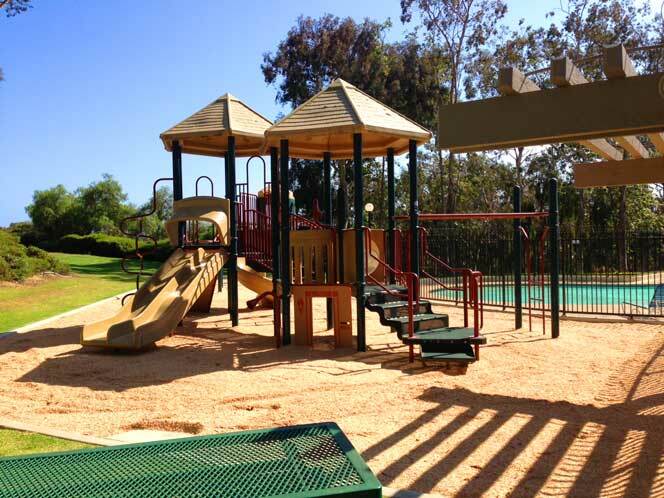 The community is set in a park like setting with lots of mature trees and landscaping and wide open spaces. 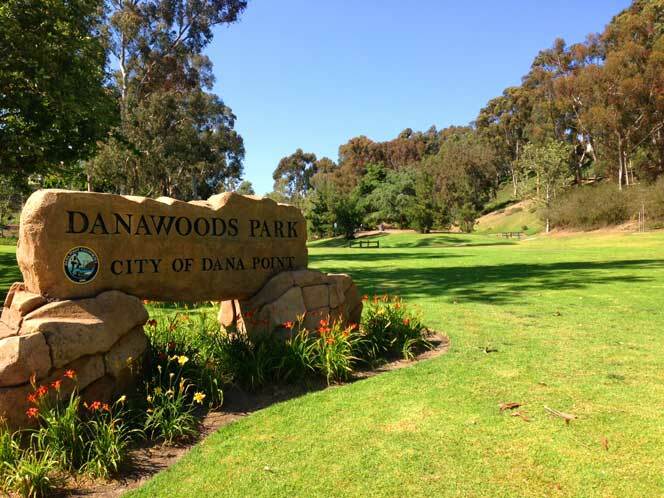 Large open areas like the Dana Woods Park area as pictured below is a great place for children and pets to play and enjoy the natural surroundings. 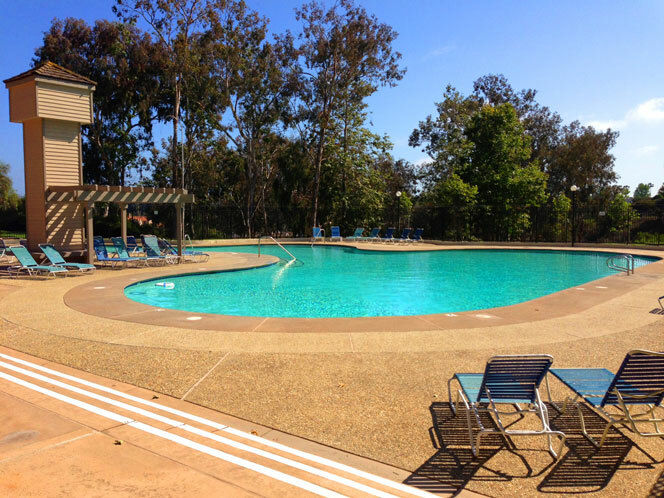 You will also find a very nice community pool and children's play area as pictured below.